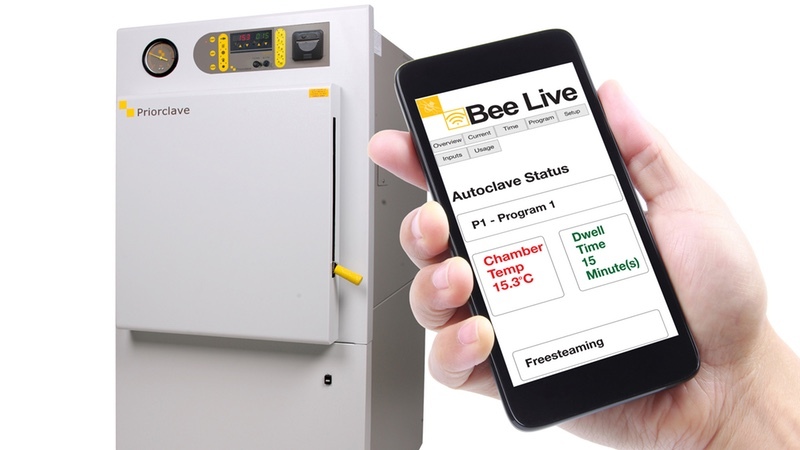 ESTS, a UK manufacturer of autoclaves, claims its latest Logiclave vertical closing autoclave can reduce running and maintenance costs by up to £60,000 over an average 10-year operating period. 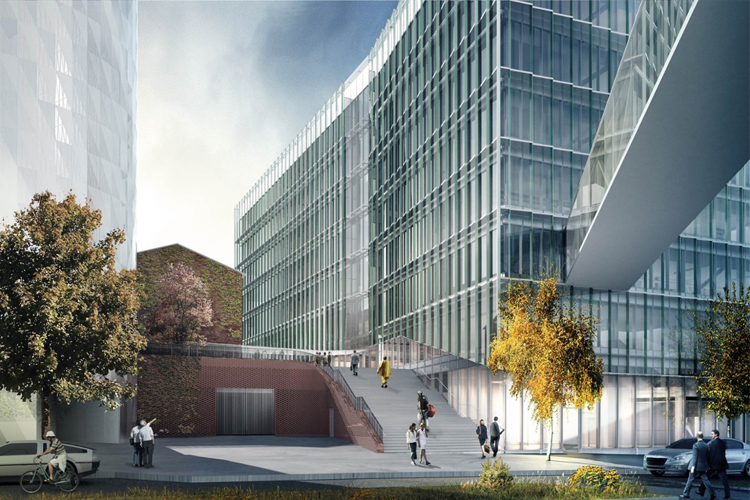 The secret to achieving this is low maintenance, high reliability and low energy consumption, the company says. 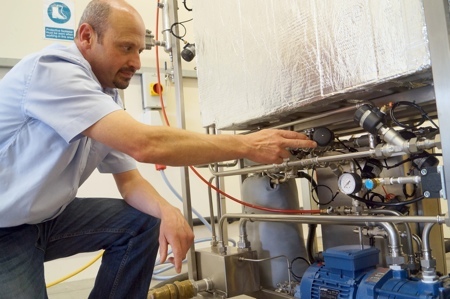 This is largely made possible by the use of a flash steam generator and a combination of Bürkert Type 2000 angle seat steam valves and rotary ball valves. 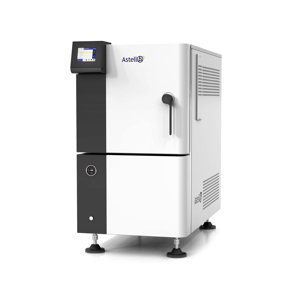 The compact Logiclave LAB300 vertical closing, rectangular chamber machine comprises 14 Bürkert valves, some of which have been adapted to reduce inventory and purchase costs as well as to withstand the high temperatures associated with repeated steam sterilisation. 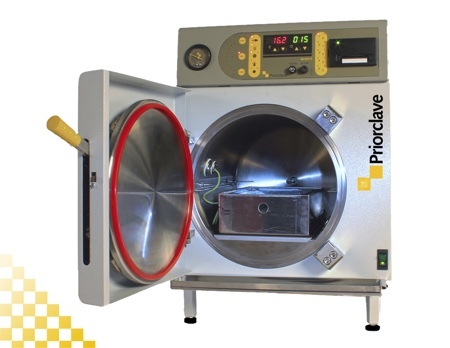 To achieve sterilising conditions, the LAB300 uses pulsed vacuum/pressure cycles to replace the air in the chamber with steam. 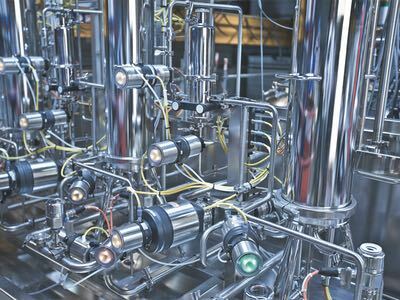 When the cycle starts, the first of the Bürkert valves, a stainless steel bodied Type 2000 pneumatically operated angle seat valve, opens as an exhaust and then closes when the machine reaches a vacuum set point of 100 millibar within the chamber. When it reaches this level, steam is injected through another Bürkert angle seat steam valve. 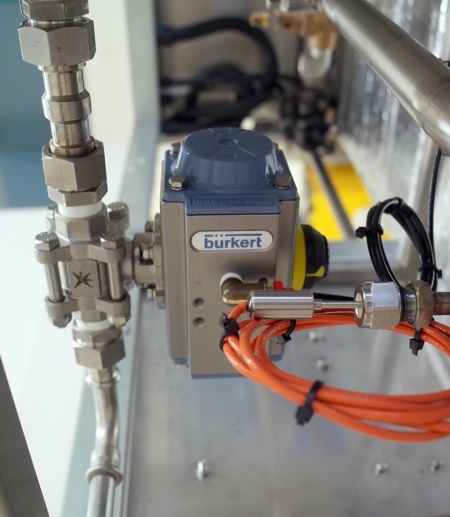 The steam supply valve is a high temperature unit that has been specified by process valve supplier Control Steam, Bürkert's preferred supplier, to include PPS material to ensure a longer seal life in the actuator. 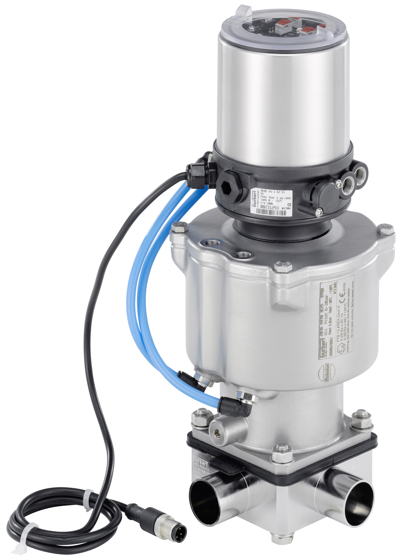 The valve body selection was also important; the bodies of Bürkert's latest generation of angle seat valves are considerably smaller than other older designs and helped to ensure a compact, but reliable final product. 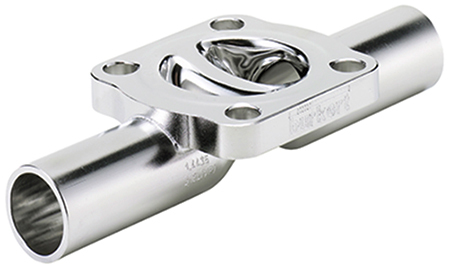 A number of the angle seat valves were supplied with a male thread, a specification developed for Control Steam as a first for this application. This cut inventory costs for the machine builder by reducing the number of joints and connectors required to construct the piping circuit. Although essentially only a benefit to the OEM, it does add to the overall cost competitiveness of the machine. 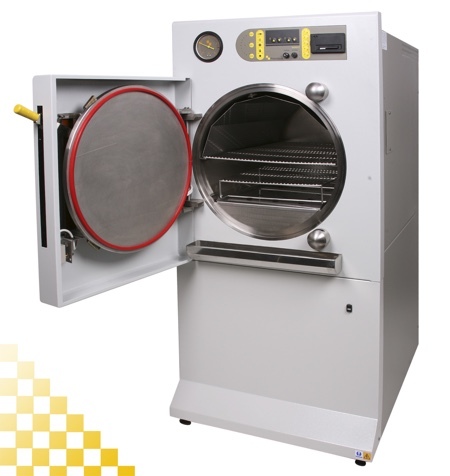 The flash steam generator in the LAB300 is used to create steam on-demand. 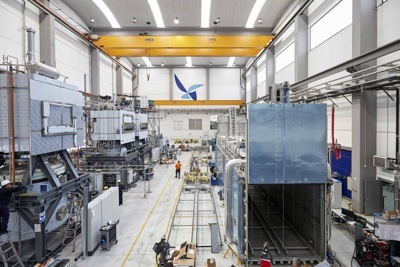 This is far more efficient than a more conventional pressure vessel boiler arrangement that heats a volume of water to produce steam and then maintains it throughout the day, constantly using energy to battle insulation losses, the company says. The ESTS exclusive design employs ceramic heating elements cast into a solid aluminium heater matrix. The unit attains operational temperature in a matter of seconds and converts water into steam on an on-demand basis, rather than maintaining a pressure vessel reservoir. An average usage cycle consumes just 10kWh, which ESTS estimates will provide a 50% reduction in energy costs. To guarantee savings in the total cost of ownership, the valves that control the fluid and steam in and out of the heater have been adapted to cope with the high temperatures. Two actuated ball valves are being used – one to control water flow into the header tank and another to drain the flash steam generator of any residual fluid; this has an extension piece to keep the heat transfer to a minimum to protect the actuator which inherently has a lower temperature protection rating than an angle seat valve. 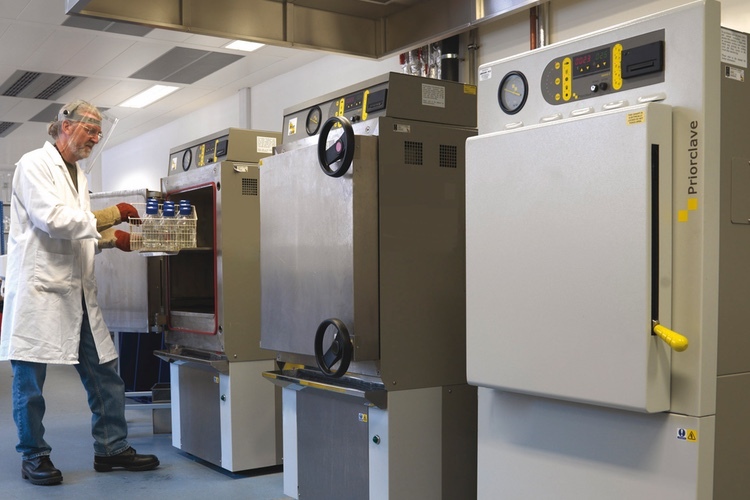 The lack of a conventionally heated pressure vessel boiler in the machine is a crucial aspect in the reduced maintenance cost calculations, as they are subject to comprehensive legal service and inspection procedures. The physical cost of these checks amounts to more than £1,000 on a bi-annual basis, plus the cost of two days of operational downtime. Experience also shows that immersed elements either in chamber or when fitted to conventional electrically heated steam boilers are prone to failure with typical costs associated with replacement at well over £1,000. Colin Hartop, one the team responsible for the design of the Logiclave, said: 'If you combine the cost reduction in servicing with the reduced energy costs and reduced downtime – just in terms of scheduled maintenance – there is a huge potential saving in the total cost of ownership between a Logiclave and a conventional autoclave of similar capacity. Our estimates put it conservatively at around £60,000 over a typical 10-year operating life.